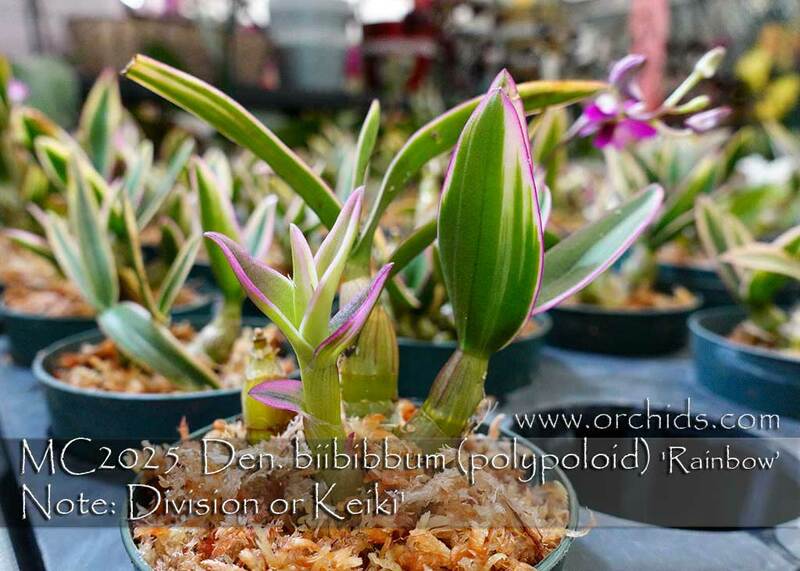 Variegated foliage is highly prized in orchids and this clone, ‘Rainbow’, is one of the most desirable ! In addition, Den. 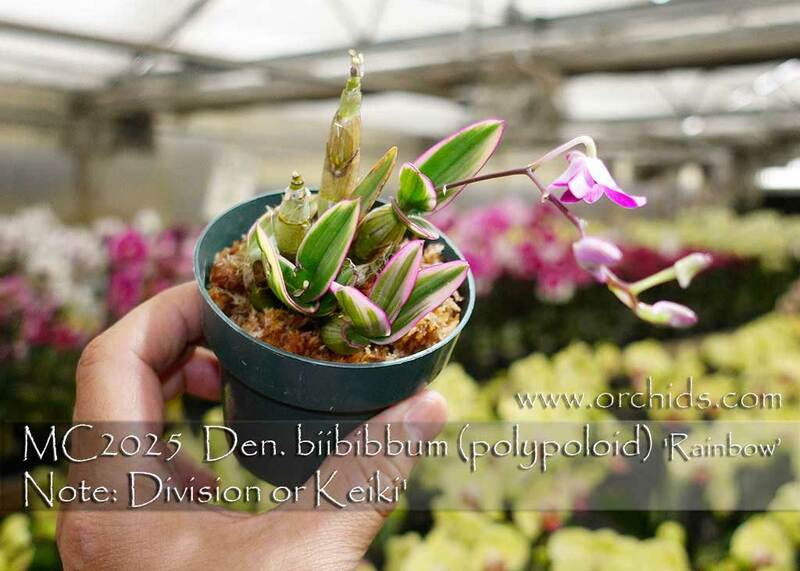 bigibbum is an adorable miniature evergreen Dendrobium species, its compact inflorescences forming near the top of leafy or leafless canes, producing up to 20 long-lasting flowers per spike. Endemic to semi-arid areas in Queensland, this species benefits from a slight winter rest, resuming normal watering when its new growths are 2-3” in height. A fully mature plant will show off with multitudes of spikes creating quite a show. But ‘Rainbow’ is attractive, even when not in flower, due to its beautifully variegated foliage. 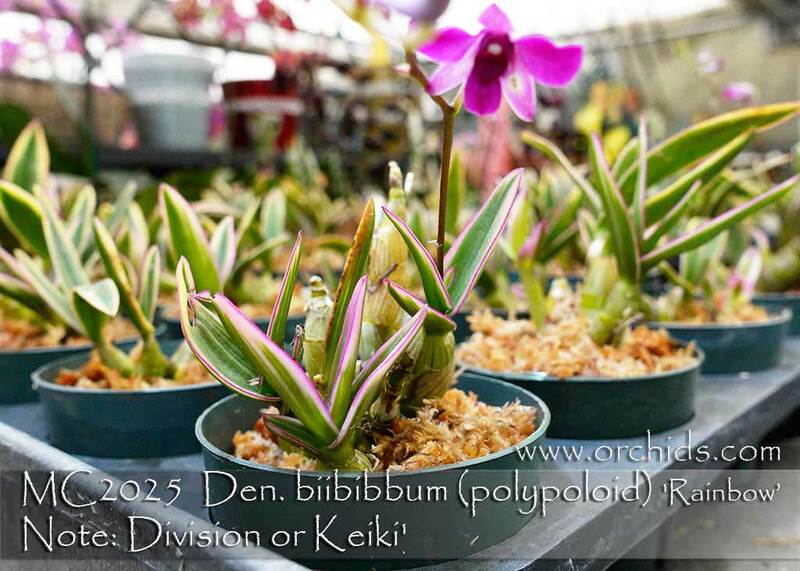 These are divisions or keikis and are Very Highly Recommended !